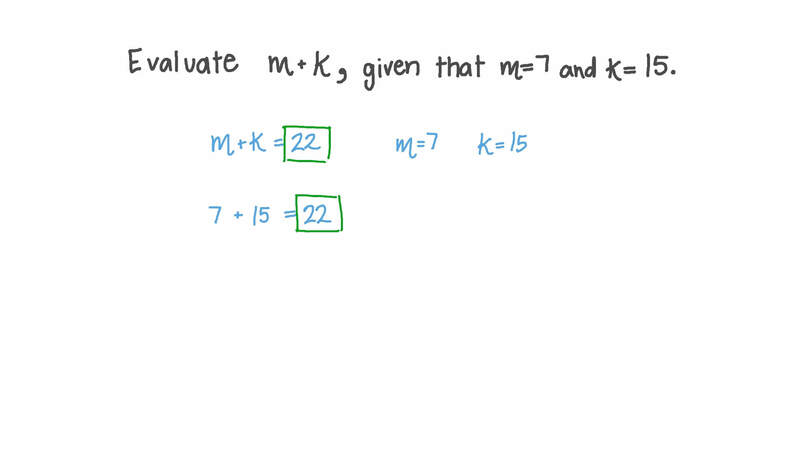 In this lesson, we will learn how to write and evaluate addition algebraic expressions. Evaluate 𝑚 + 𝑘 , given that 𝑚 = 7 and 𝑘 = 1 5 . Write an expression for the sum of 𝑚 and 4. Write an expression for the sum of 9 and 𝑓 . 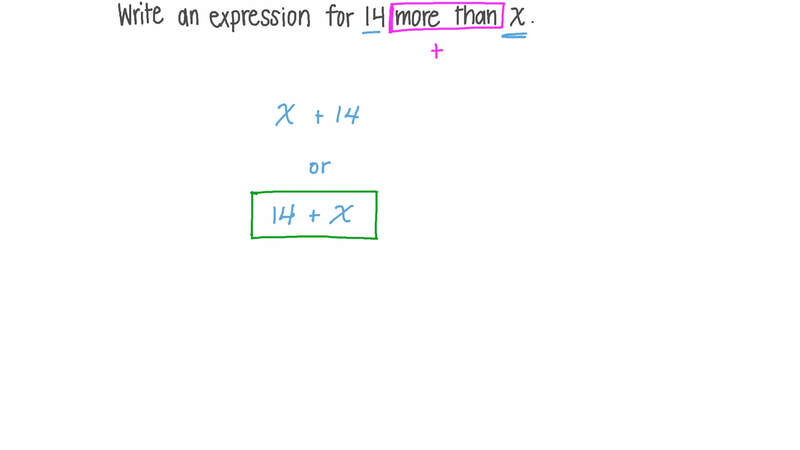 Write an expression for 14 more than 𝑥 . 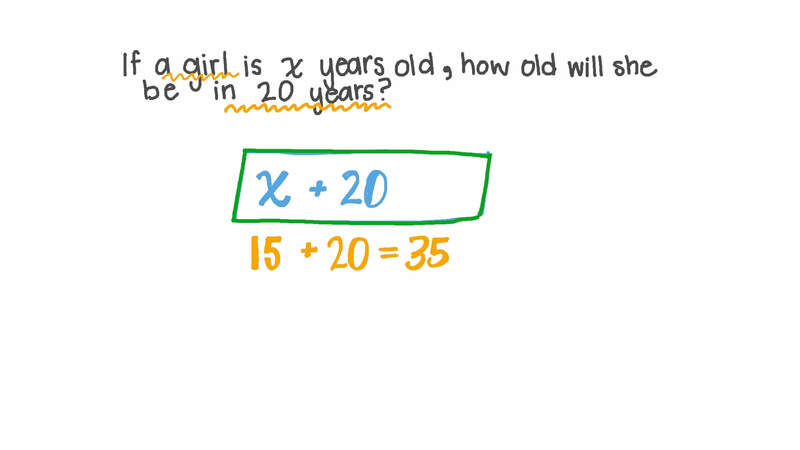 If a girl is 𝑥 years old, how old will she be in 20 years? Which of the following expressions represents adding 8 to 𝑥 ? Express the following in algebraic form: twelve increased by 𝑥 . Given that 𝑥 = 2 8 𝑎 − 9 𝑏 + 2 9 𝑐 , 𝑦 = 3 2 𝑎 + 2 7 𝑏 − 4 2 𝑐 , and 𝑧 = 4 6 𝑏 − 3 9 𝑎 + 5 0 𝑐 , express 𝑥 + 𝑦 − 𝑧 in terms of 𝑎 , 𝑏 , and 𝑐 . What must you a d d t o 3 4 𝑥 to get 2 5 𝑥 ? Find 𝐴 + 𝐵 given that 𝐴 = 8 𝑥 + 2 and 𝐵 = 5 𝑥 − 1 . Simplify 6 𝑐 + 4 𝑑 − 4 𝑐 − 9 𝑑 .